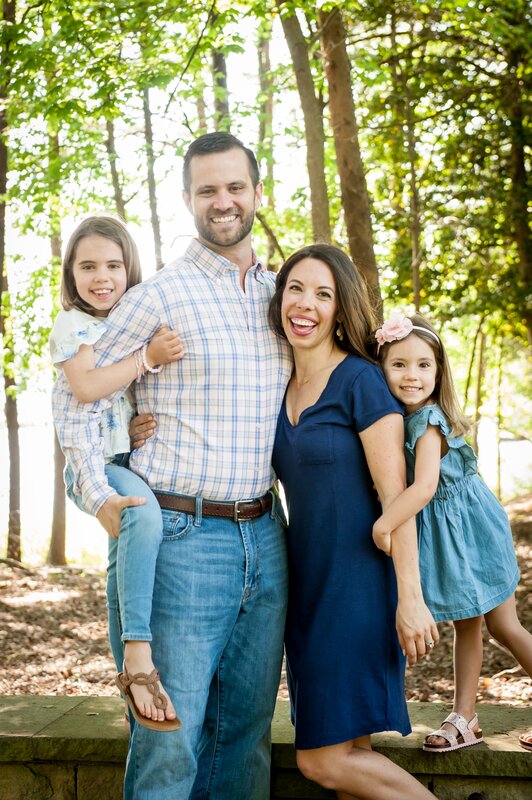 As far as parenting goals go, a strong family unit is at the top of our list. 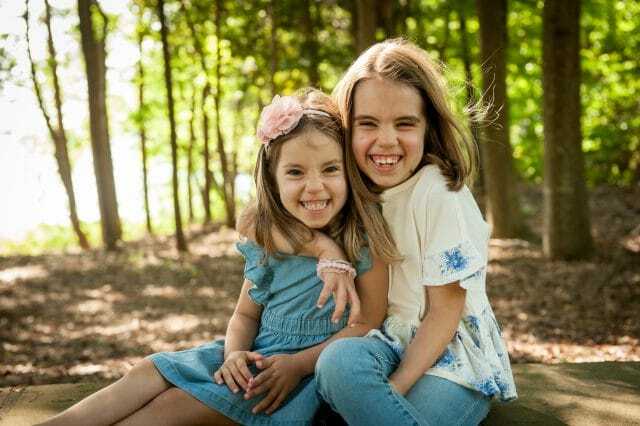 Hand in hand with this is encouraging the girls to have a close sibling bond. I have heard people say you can’t make your children be friends, but I’m not so sure I believe that completely. 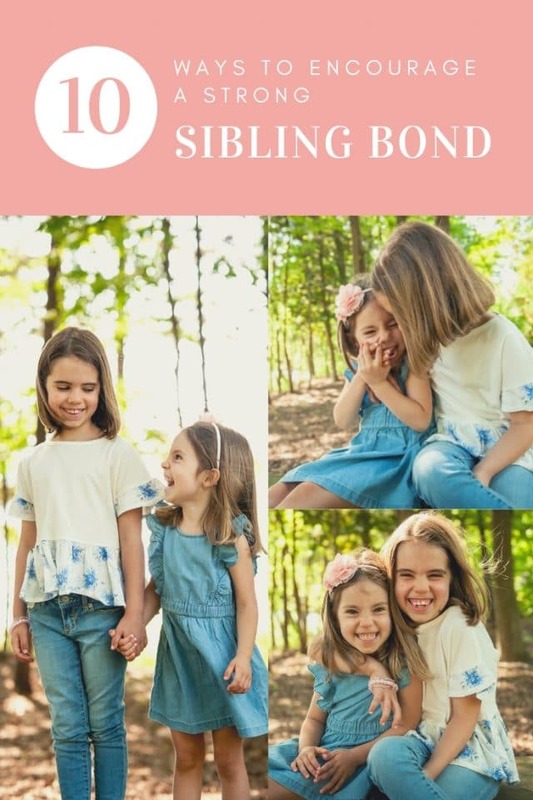 Sure, just telling them to love and appreciate each other won’t get the job done, but there are methods I believe contribute to siblings naturally forming strong relationships with each other. While my children are only 7 and 4, I can already see the foundations of a fierce love and loyalty to each other. Of course they still squabble, but they are also each others’ best friends. Here’s a peek into what we do (and don’t do) that is working for us so far! Do not compare your children to each other. And certainly never use the phrase “why can’t you be more like your sister” no matter how tempting it may be in the heat of a moment. It may seem like this could offer a nudge in the right behavioral direction, but it actually teaches them to value their own self worth by how they compare to others. We all know that if we are told something often enough, we tend to start believing it. Children are especially sensitive to this and if they hear how they don’t eat as well, sleep as well, behave as well, focus as well, as their sibling, they will tend to solidify that into their identity, making it a self-fulfilling prophecy. Teach them to appreciate, or at least respect, their differences. Have them tackle chores or a project together. I’m sure if the girls hear me say “team work makes the dream work” one more time their eyes might roll out of their heads, but it’s a belief I put into practice all the time at home. Having a common goal to accomplish together builds camaraderie and results in a mutual celebratory feeling of accomplishment. Whether it’s cleaning up after breakfast or building a pillow fort, they both get a healthy dose of satisfaction from completing a task together. Teach them to respect each other and how to respectfully disagree. We don’t all have to hold hands and sing kumbaya all day everyday, but we do have solid rules about respect. Many times I’ve reminded each of them about what is an appropriate way to talk to each other and what is not. If they yell at each other or say something out of line (ie: I never want to see you again ever in my whole life) I pull the offender aside and remind her that our home is a safe space for all of us and we do not speak to each other like that in this family. I teach the girls that all feelings are OK, but all actions are not. The protocol in our house is that if you are feeling a strong negative emotion, you are to give yourself some quiet time until you calm down enough to discuss the situation. At 7 and 4, this is something I still have to remind them of a lot, but it’s starting to sink in and I see them employing the tactic on their own and taking space when they need it. Give each child their own physical space. Going hand in hand with the above tip, I find it is really helpful for each of our girls to have their own physical space. In our house they each have their own room, but it doesn’t have to be a whole room. Having each child have a corner, a nook, a chair- somewhere that is their personal safe haven gives them a place to retreat to to collect themselves where they know they are promised some solitude and peace. Talk through the feelings that led to actions. Very few things are solved in our home by talking through them in the heat of the moment. However, once we’ve all had time to collect ourselves, we always talk through the situation. Sometimes we do this together and sometimes separately. This is important because it helps build understanding and compassion. 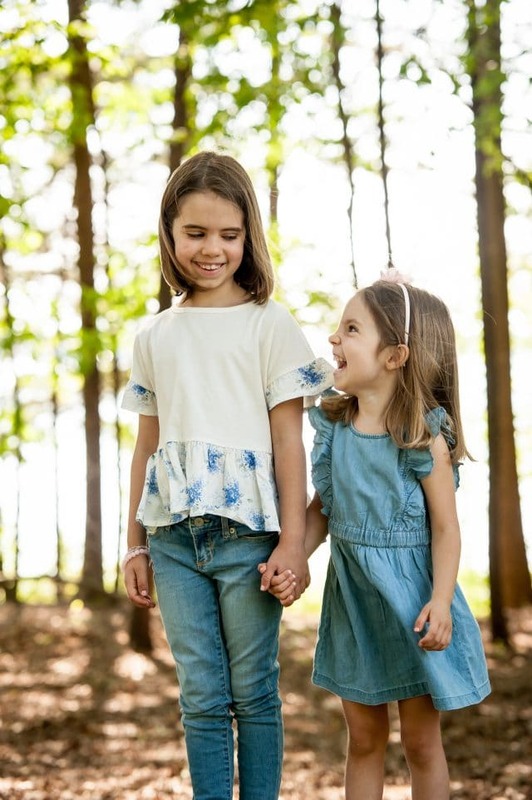 By explaining to Hailey that Kaitlyn was feeling left out and sad about not being included, the hope is she can begin to understand the root of her sister’s behavior and know how to better handle the situation the next time it arises. Let them sort out their own squabbles. It’s painful to listen to them squabble sometimes and is tempting to just step in, break it up, and be done with it. However, I’ve learned if I hang back and bite my tongue, they often figure out how to work through it themselves. I also have tried to teach them the difference between tattling and seeking assistance. I don’t need to always know who did what. I tell them I’m here as a mediator if they want help sorting through a situation but I have no desire to know the details of who did what for the sake of tattling. We constantly encourage our kids to be problem solvers and bickering is included in the “problem” category. Allow for plenty of unstructured playtime starting from an early age. I’m a firm believer in these two words we moms need to use more often. Here is how we have encouraged unstructured play from the start. I don’t believe my kids always need me directing them or even being around them. While I love building traditions and memories that connect us all, play allows them to create bonds just between the two of them. And that’s pretty special, too. Encourage them to watch out for each other. I’ll whisper to Hailey to watch out for her sister, then I’ll whisper the same thing to Kaitlyn. Feeling a part of taking care of the other’s well-being can encourage a healthy responsibility and love for each other. When one of them is hurt, I nudge the other to check on her and vice versa. We try to teach the girls that whether they are hurt or having fun, that they should always be there for each other. No surprise here- experiences build bonds! That’s why the Bachelor producers make up crazy dates like bungee jumping. I’m not suggesting jumping off a bridge together, but I’ve noticed that novel experiences, whether a new hiking spot or a vacation, seem to bring out the best in the girls. The experience feels like tackling an adventure together and leaves us feeling bonded in a new way, with new memories to recall together, and funny stories to tell. I’ve heard it said that memories are the base of our identity. My hope is that a childhood filled with memories of time spent together and problems conquered as a team will solidify their sibling bond for a lifetime. What are some ways you’ve seen your children bond? What do you do to encourage it? Brittany, what a wonderful lesson on an important topic. You and David have done some solid thinking on your parenting and this is a shining example. Look forward to seeing y’all in action for the big Sherry Shebang this weekend! John J. Stathas recently posted..“I’m sorry”: Are These The Hardest Words To Say For You? I’m not even a mom (yet) but I enjoy reading these types of posts b/c they always offer some nuggets of brilliance. Like, “every feeling is OK, but not every action is…” I love this! Keep doing what you’re doing and sharing your knowledge/experience along the way. Thank you! Thank you for the kind words! I love sharing what has worked for us, and your encouraging words are so appreciated! This is wonderful!! Thank you so much for sharing. My kids share a room, and I love the idea of a designated space for each of them. They are only 4 and 2, but this is perfect. Hi Brittany, What a wonderful article! My kids are older – 17, 19, and 21 and we frequently get asked how we got them to get along so well. I am always at a loss as to what to say, but I believe you have nailed many of the reasons right here!